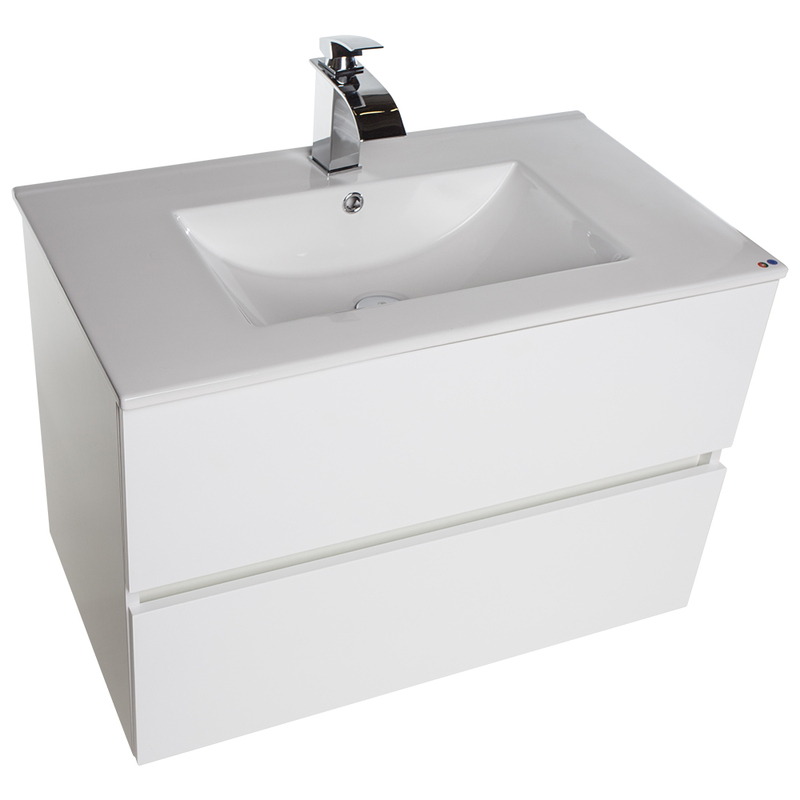 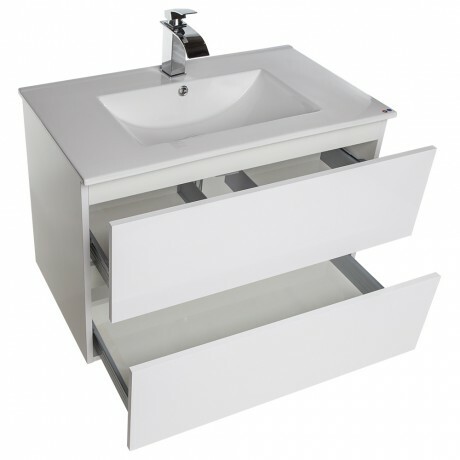 Beautiful wall mounted bathroom vanity cabinet set with two soft closing drawers. Includes a single ceramic sink with one pre-drilled faucet hole. 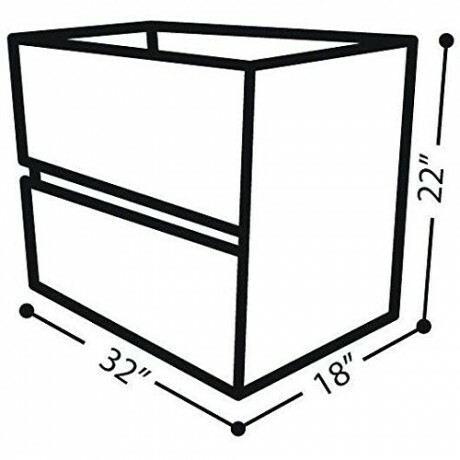 This vanity comes pre-assembled.